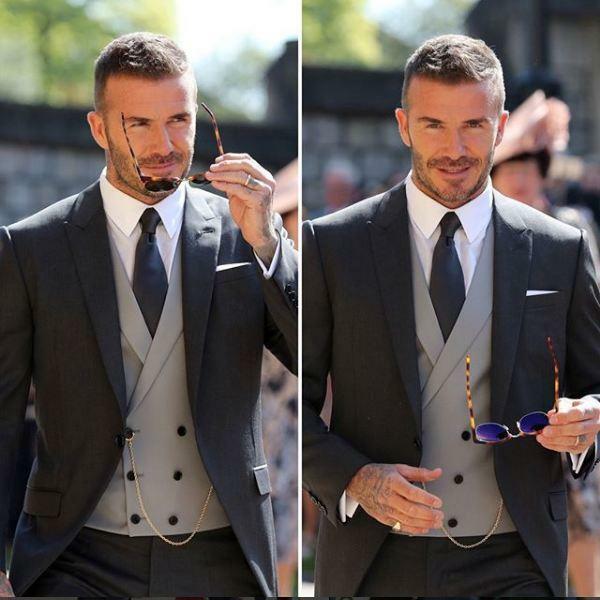 David Beckham along with his wife Victoria reached Royal Wedding and it will make your heart can skip a beat. 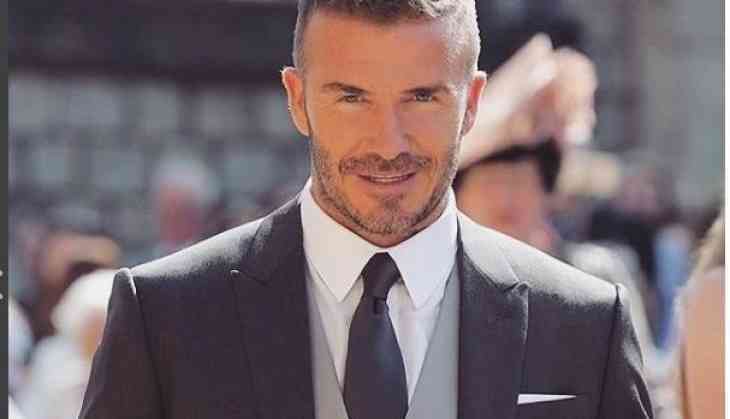 He looked dapper in a navy and gray suit with a little bling along the vest. His wife Victoria wore a navy dress with a navy cape and orange shoes. 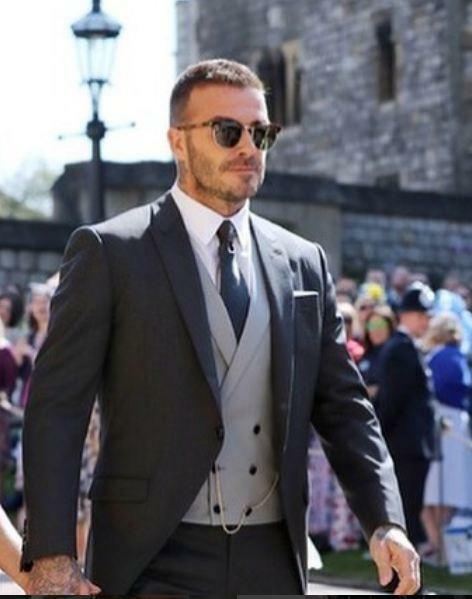 The Beckhams arrives at Royal Wedding 2018. 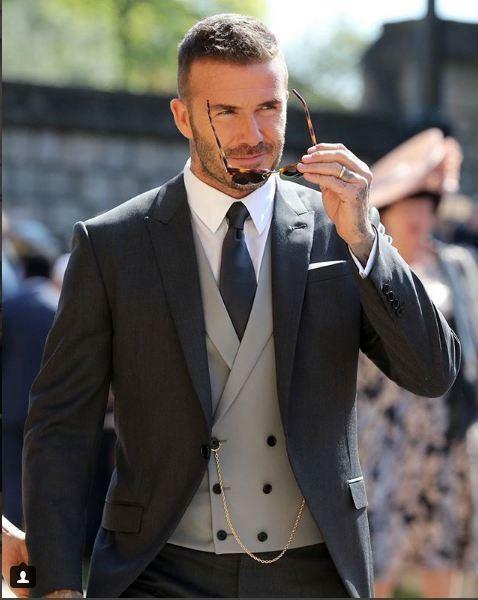 Gorgeous man ready for the #royalwedding! 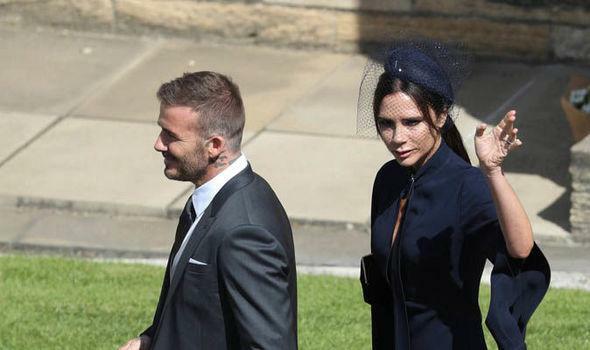 David and Victoria Beckham arrived at the church to a huge cheer from the crowd.